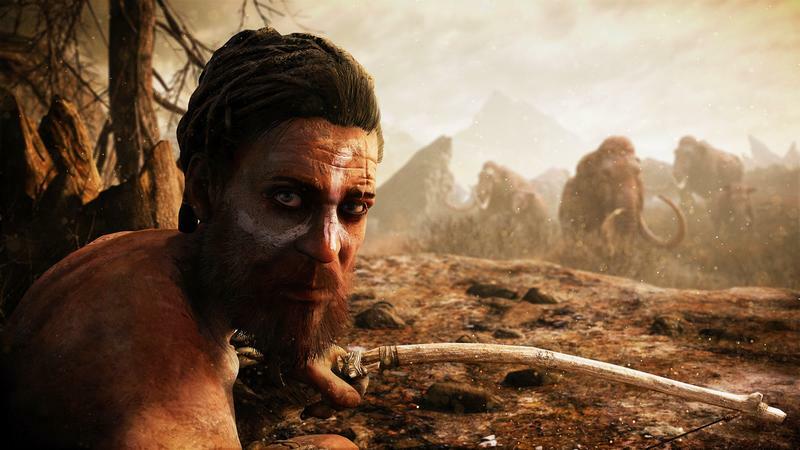 While there were a few surprises at the Game Awards last night, there were a few known quantities as well. 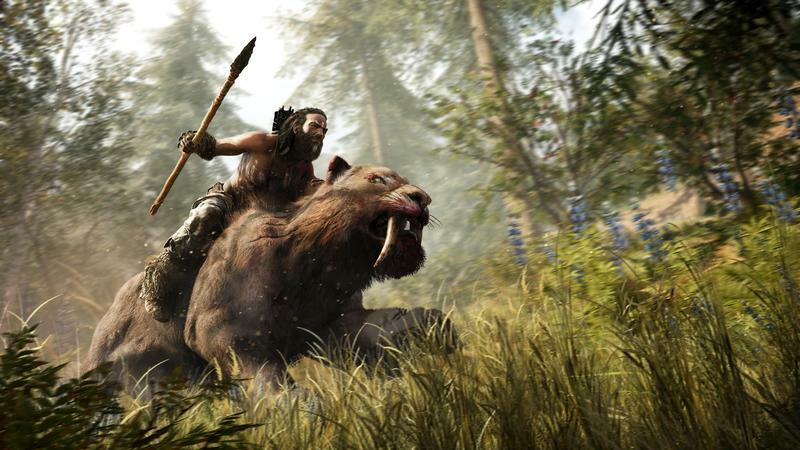 Of those, Far Cry Primal is the one that I was the most curious about. During the show proper, we got a look at some gameplay and story elements with the trailer below. Alongside that comes a set of new screenshots, information about pre-order packages, and a developer walkthrough video. 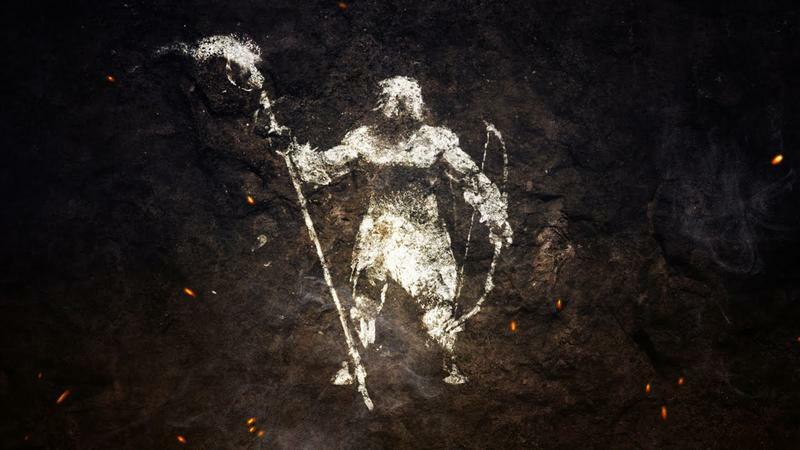 The main character of Far Cry Primal, Takkar, is a hunter. That much we know. 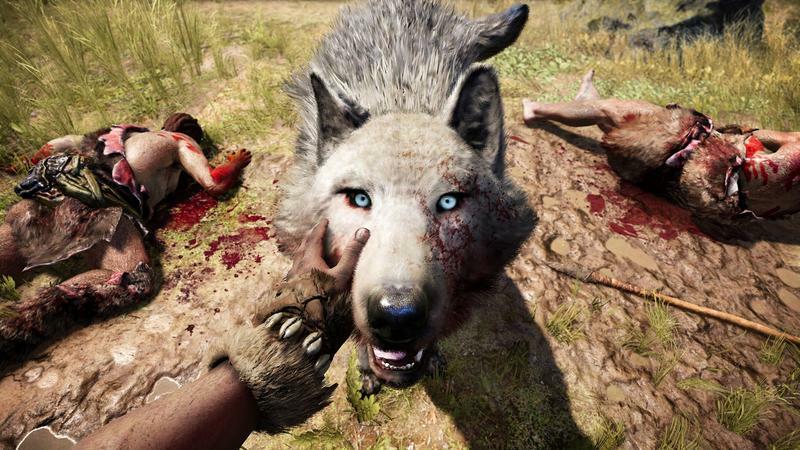 One of the questions has been, though, how can Ubisoft keep things interesting with such primitive weapons? Bows and arrows are fun, sure. Spears have a bit of room for upgrading, maybe. 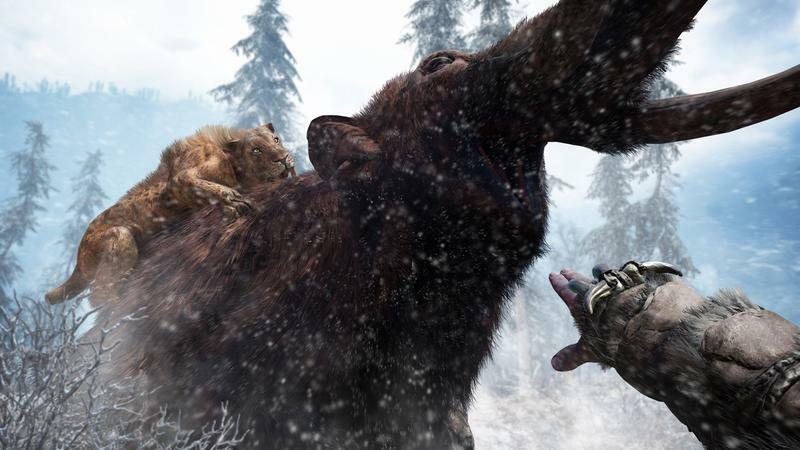 Well, now we have our answer – Takkar is a Beast Master. While Takkar builds his tribe, he’s also building a menagerie of animal friends. 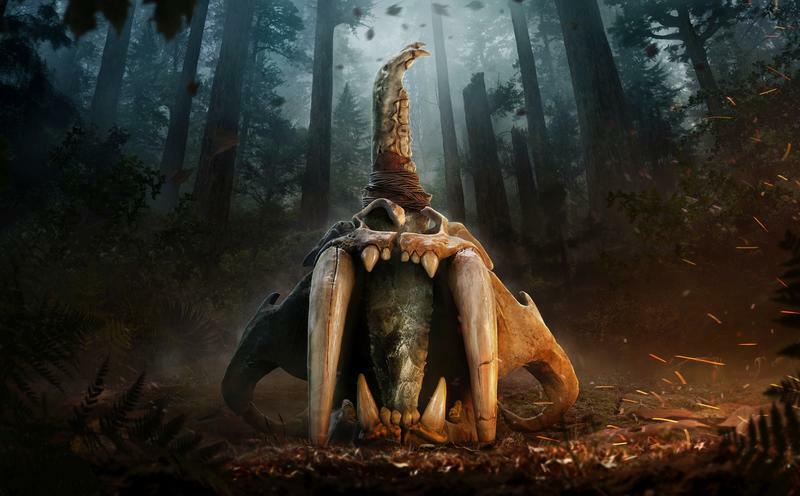 A saber tooth tiger, an owl, and giant, prehistoric bears and wolves are shown in the trailer. 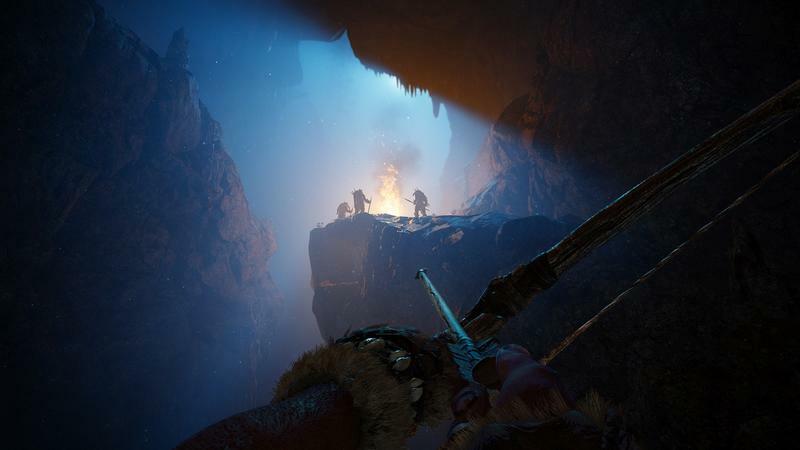 These call back to the Shangri-La sequences of Far Cry 4, which had you controlling mystical animals in addition to firing your bow, and I imagine this was the genesis of the Primal idea. 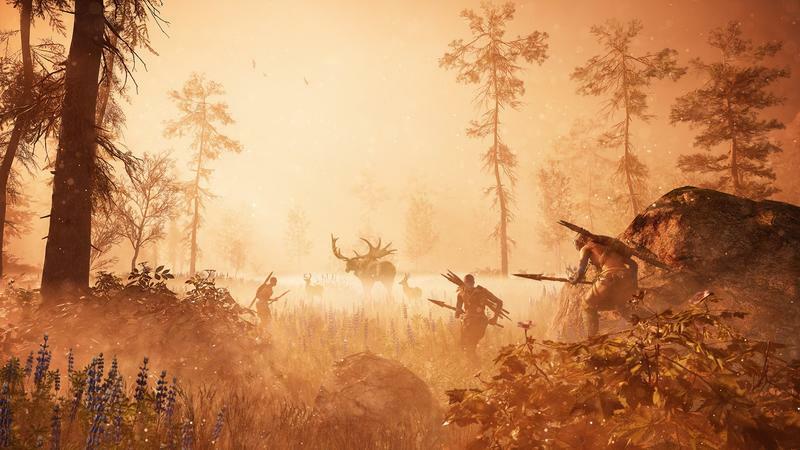 Between the weapons and beasts, it’s starting to look like there’ll be some great variety in the options to approach groups of enemies despite a lack of rocket launchers and the like. 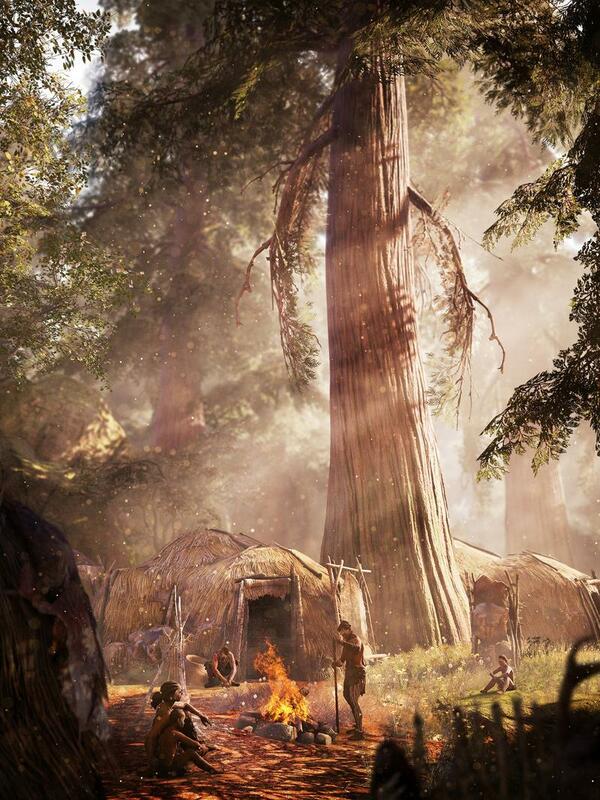 I was hoping for something different from Far Cry, and it looks like we might be getting that. 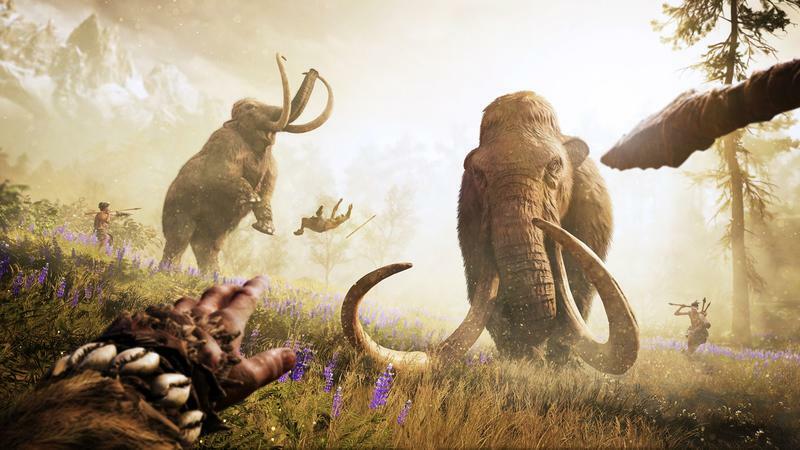 Legend of the Mammoth missions – In three bonus missions you’ll see the world through the eyes of Oros’ largest beast: the mammoth. 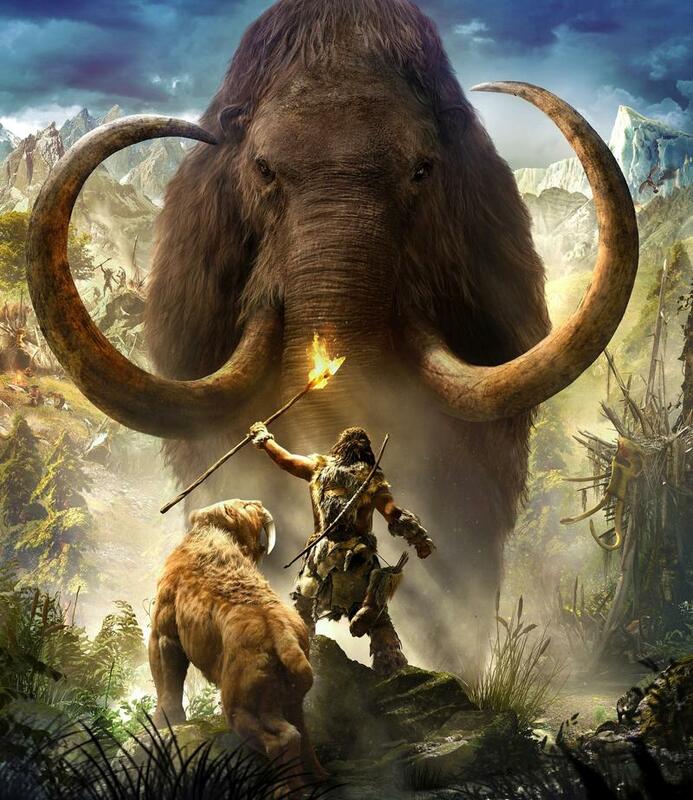 Duel of Beasts: Prove that you are the mightiest creature in Oros as you battle a powerful rhino spirit and his herd. 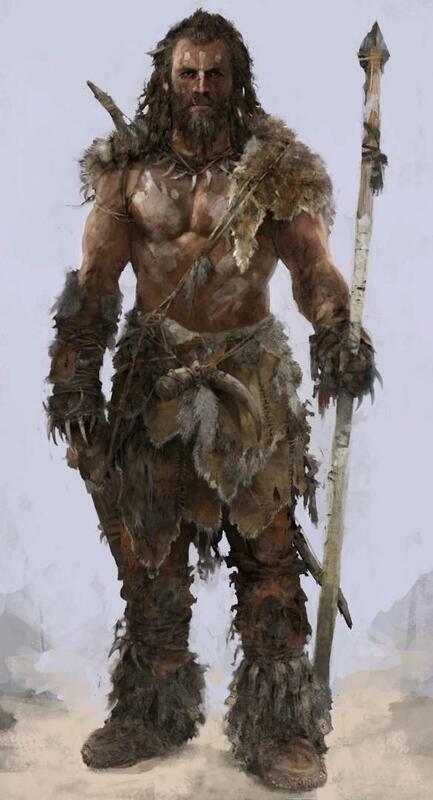 The Trapped Elder: Hunters have captured your leader and you must break into their camp and free him, smashing everything that gets in your way. Hunt the Hunter: Lead your herd into battle and crush those who threaten you. 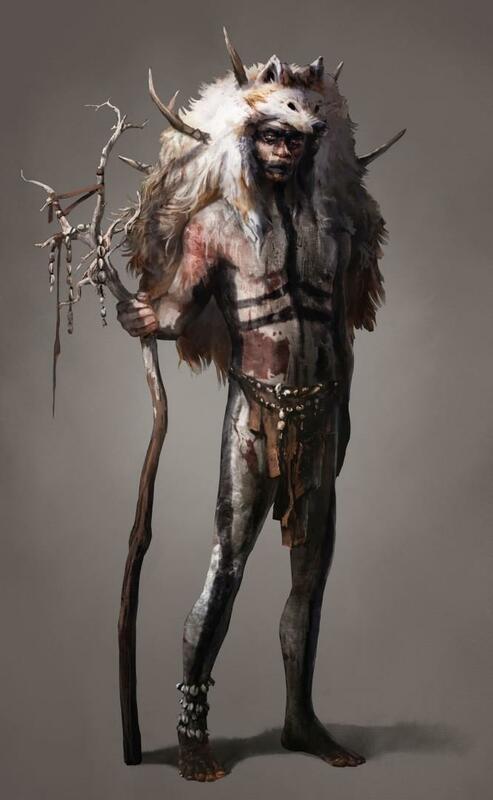 Blood Shasti Club – Once wielded by Ull, the leader of the bloodthirsty Udam tribe, this bloody club is unbreakable and cannot be destroyed by fire. 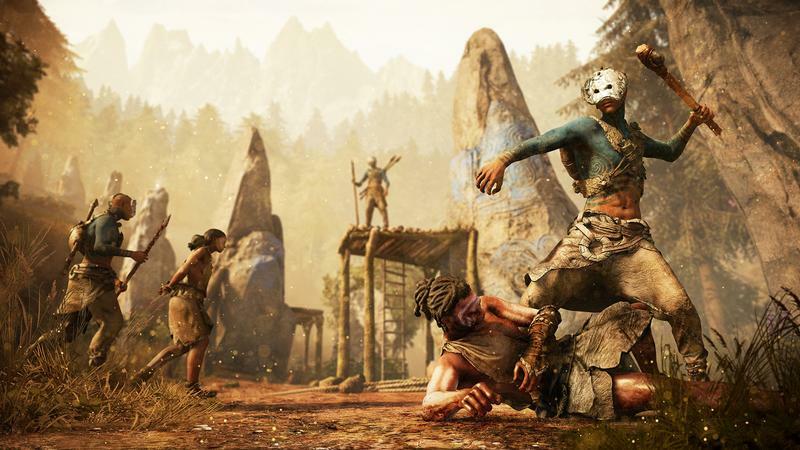 Four enhancement packs – Get early access to rare resources and unique customization options. 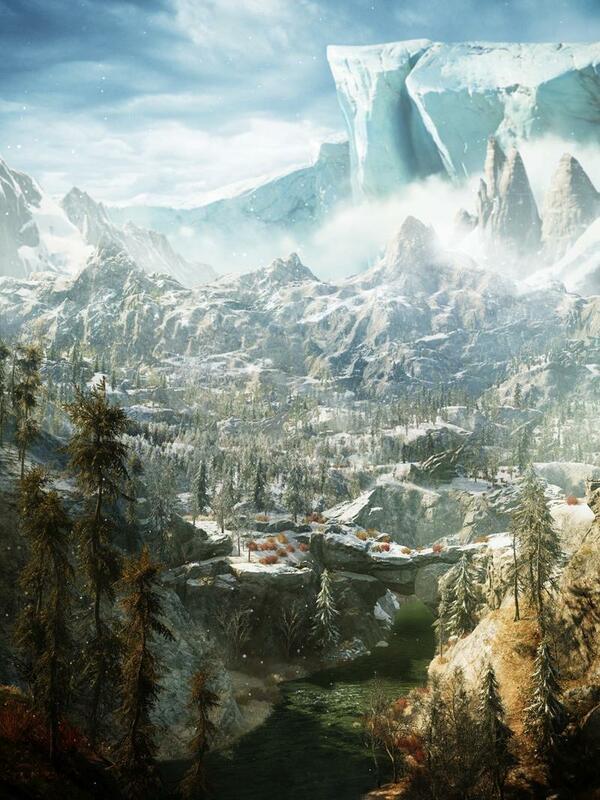 Make sure to check out the developer-guided gameplay video down below the trailer for some detailed gameplay footage. 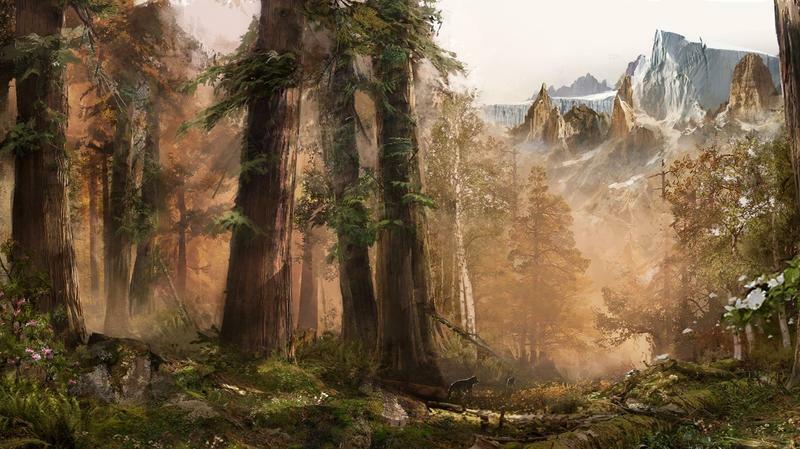 Because it takes place in the stone age, the map is revealed entirely through travel – there aren’t any towers to climb. 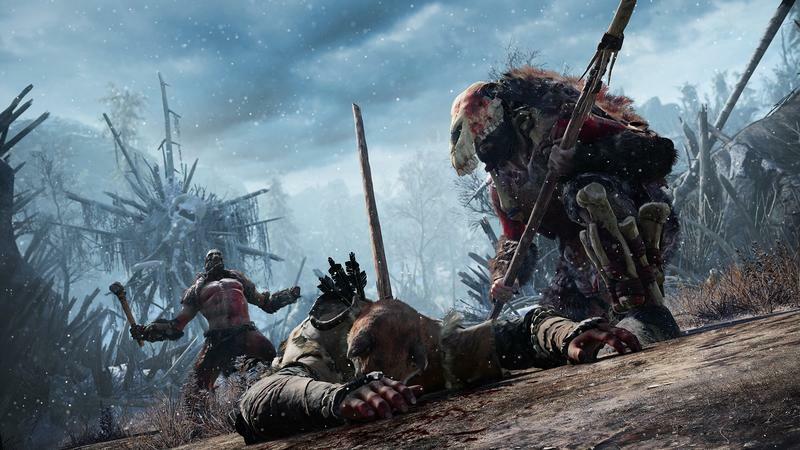 In addition to weapons, you can use traps to take down both man and beast. 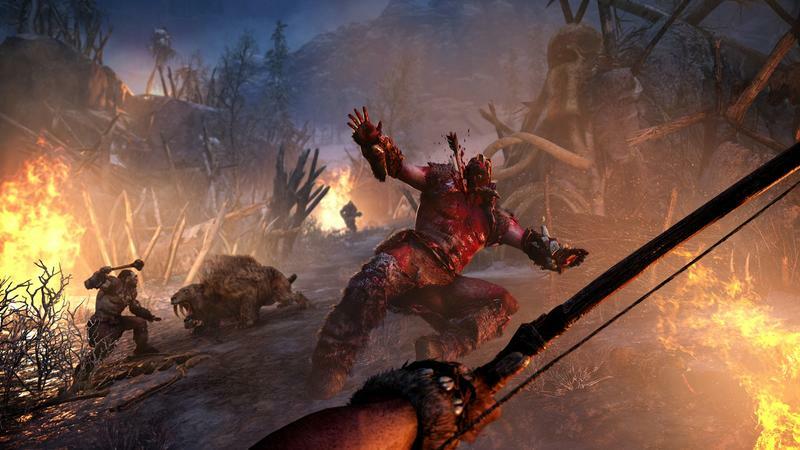 We also see the wolf take down a yak, and the owl drop firebombs on enemies. 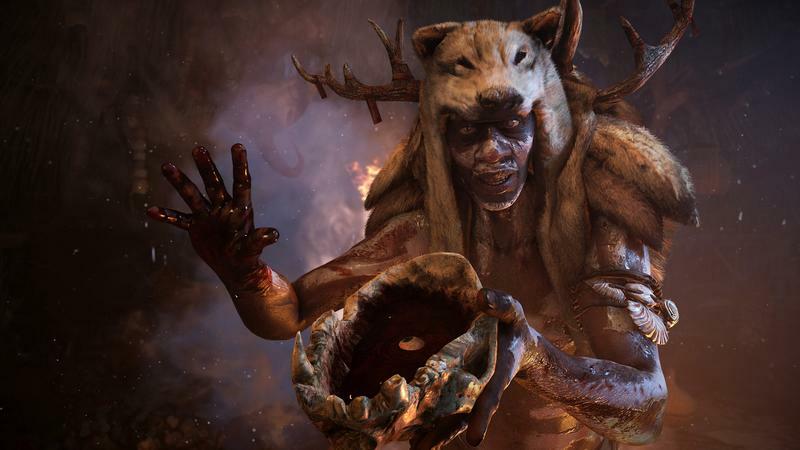 Far Cry Primal is set to hit PC, PlayStation 4, and Xbox One on February 23, 2016.